This is just a test post to see if T-mobile's MMS system is properly sending to e-mail addresses now. It wasn't earlier. 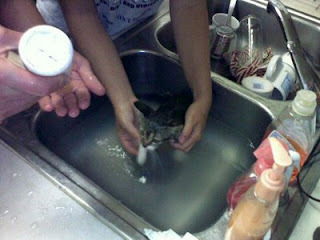 Here's a picture of a kitten getting a bath. Enjoy!